Ozzy Osbourne has paid tribute to his late former guitarist Bernie Torme. The 66-year-old musician – who also performed with Deep Purple's Ian Gillan's band Gillan – sadly lost his battle with double pneumonia on Sunday (17.03.19), and Ozzy, 70, has paid his respects to his pal, who he said was a "gentle soul with a heart of gold". The Black Sabbath star wrote on Facebook: "‪What a sad day. We've lost another great musician. Bernie was a gentle soul with a heart of gold. He will be dearly missed. I send my sincere condolences to his family, friends and fans. Rest in Peace Bernie.‬"
The Irish musician was placed on a ventilator earlier this year, as he battled the potentially life-threatening infection. Fans of Bernie had setup a Pledge Music campaign to help with his medical bills. Before he started playing with Ozzy, the guitarist formed the Bernie Torme Band in 1976, who supported the likes of Billy Idol's Generation X and Bob Geldof's Boomtown Rats. He was hired by the 'Paranoid' hitmaker as a live session musician for his backing band Atomic Rooster in March 1982 by Jet Records, to replace Randy Rhoads – who tragically passed away in an aviation accident while on tour with Ozzy in Florida that year. Although Bernie only ended up playing a few shows with the 'Crazy Train' singer, the pair remained friends and were reunited at last year's Sweden Rock Festival. Bernie's death came a day after the 30th anniversary of Randy's last show with Ozzy on March 18, 1982, in Knoxville, Tennessee. 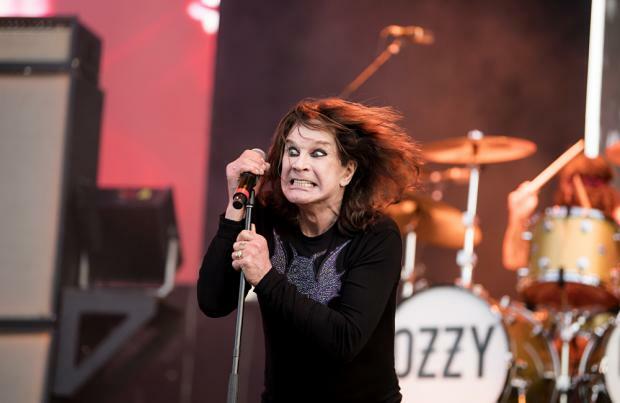 Ozzy and his wife Sharon Osbourne had sent their support to the Dublin-born musician when it was first reported that he was fighting pneumonia. They wrote: "Dearest @Bernie_Torme, sending you positive vibes and love, and all our prayers."